From October 29 to November 2, WYA Europe Director of Partnerships Hrvoje Vargić was in Tirana, Albania to train members in WYA’s Certified Training Program (CTP). 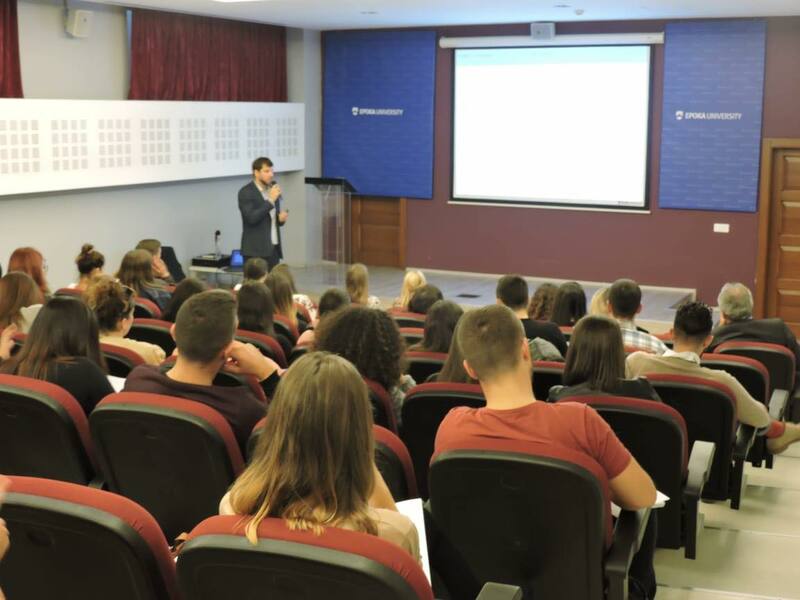 More than 40 very motivated youth from several Albanian cities participated in an intense five-day training organized in the Epoka University in Tirana. Throughout the week, the participants learned about WYA’s foundational history, the mission and values WYA represents and policies it advocates for on the European level. Through the CTP, they tackled complex philosophical, historical and political explanations of Human Dignity, Freedom, Solidarity, Culture and History of Ideas, culminating in the training and workshop in International Law and Human Rights. The CTP was also accompanied by different practical trainings and workshops to develop the skills of the participants. WYA Europe Director of Partnerships held the advocacy workshop and the media training, followed by the training on EU legislation, and trained members in WYA’s Human Dignity Curriculum. “We are extremely happy to see so many young people in Albania wanting to join WYA’s Mission. They proved to be extremely motivated and engaged during the training, which makes us confident that WYA Chapter in Albania has a promising future”, said Hrvoje Vargić. The certifications are scheduled from November 12 to 15, after which all certified members will be able to join the activities of the WYA Albania Chapter.